Air France-KLM chairman and chief executive Alexandre de Juniac has been named as the new chief executive and director general of the International Air Transport Association (IATA). de Juniac will officially take over from retiring chief executive and director general Tony Tyler after his appointment is confirmed at the IATA annual general meeting to be held in Dublin on June 1-3. “IATA has a critical role to play in supporting the success of the aviation industry–leading advocacy, safeguarding the industry’s money, building the standards that underpin global connectivity and partnering with stakeholders and governments to drive important changes,” de Juniac said in a statement on Tuesday (European time). 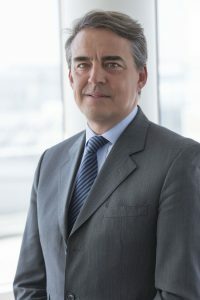 de Juniac has been chairman and chief executive at Air France-KLM since 2013, He was also chairman and chief executive of Air France between 2011 and 2013. Tyler said de Juniac would bring experience from the the airline, industry and government sectors to the role of IATA chief executive, citing his previous positions in the French government, including as an advisor in the Department of Budget and as deputy chief of staff in President Nicolas Sarkozy’s cabinet, as well as senior executive positions at transport, defence and aerospace company Thales. “Alexandre will be a great leader for IATA,” Tyler said.